Disney Roll N' Go Walker Just $22.66! Down From $50! You are here: Home / Great Deals / Amazon Deals / Disney Roll N’ Go Walker Just $22.66! Down From $50! Disney Roll N’ Go Walker Just $22.66! Down From $50! Amazon is having a sale on Disney Mickey Mouse Roll N’ Go Walker for just $22.66 down from $49.99 PLUS FREE shipping with Amazon Prime or for orders $25 and above! Sturdy walker is perfect to encourage baby’s first steps as Mickey plays his favorite song to delight! Tumble colorful roller with Minnie, or roll rattling beads with Donald. With light-up propeller rotating to different light-patterns. Includes colorful balls to drop and roll back out in tray to learn cause-and-effect. Safe and durable with chunky handle bar for easy-grip. 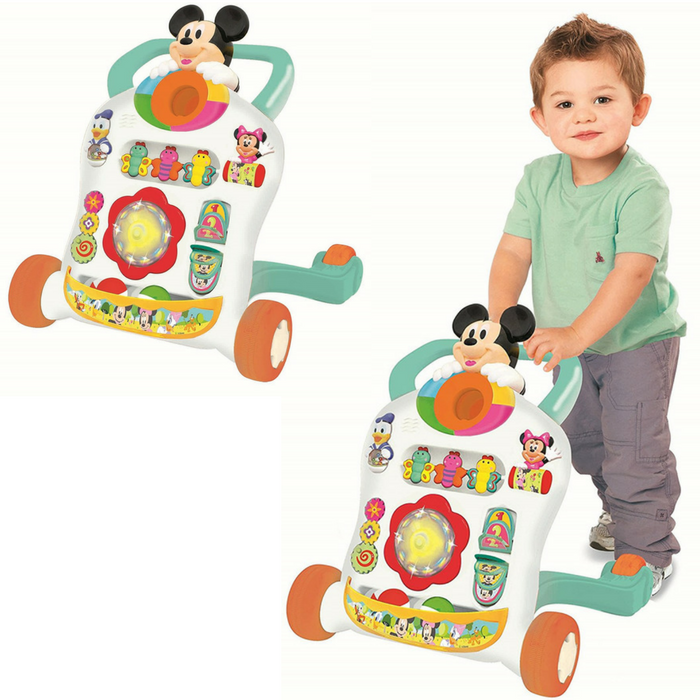 Sturdy Walker is perfect to encourage baby’s first steps as Mickey plays his favorite song to delight!